As you know if you've been a fan of mine for a while, I generally keep my blog dedicated to my art....but something is unfolding that I have decided to share with you all. I know that most of you, my cherished readers and customers, are dedicated parrot lovers as well, and often express how you enjoy hearing about my two beloved bird friends. This time, the story that I am sharing is a lot harder to type out. 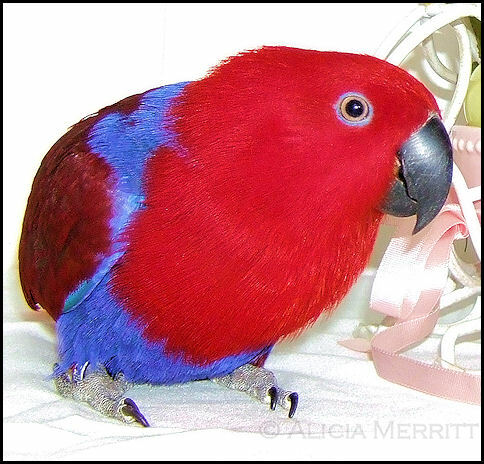 On July 28th I was shocked to find a large cyst on Kaleena (Kiki) my 11 year old female Eclectus, near the side of her tail. She continues to act completely normal, eating, playing, etc. I rushed her to the vet, with the hopes that it was just a lipoma or fatty cyst. It wasn't. She underwent as many tests as my vet could run. Unfortunately, the x-rays showed that the mass is probably connected to her reproductive organs. She has been referred to Iowa State Veterinarians for additional testing, and most likely a delicate surgery, on August 7th. There are just so many "unknowns" right now, and until she goes through more intensive testing on Wednesday, we can't know what the next step for treatment will be. However, my vet feels that immediate surgery will likely be happening. 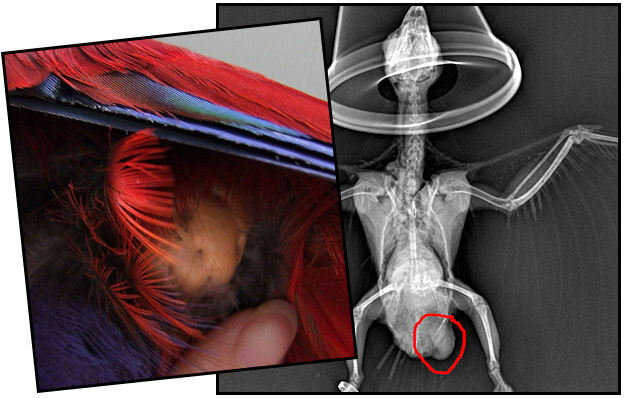 As you probably know, if you have birds, avian surgery can be very risky, however in this case it may be the only way to possibly save her life. Kiki is a truly special little being, with a strong spirit and body, and if anyone can make it through such an ordeal, I know that she can, with the help of the many prayers and positive energy that she is receiving from so many around the world. I was encouraged by several people to start a fundraiser for Kiki, and I am overwhelmed with gratitude at the incredible support and love we are receiving. We do not yet know what the total costs will be, but I want her to have the best care possible for her highest chance of survival! Please watch her video, and join us by contributing to her veterinary fund if you feel inspired! I put together a video with photos of Kiki and her unique life story, and I'd love to share it with you. I spent an entire night looking through all of her beautiful photos, and savoring so many special memories as I created it. Feel free to pass it on! I so appreciate all of the positive energy, light, love and prayers you can send, especially on Wednesday. From the depth of my being, I thank you. This is a Flickr badge showing photos in a set called Custom Orders. Make your own badge here.